Over the weekend we had to spent a day at Auchenard moving items around, checking the goods we have bought are all correct and present and reviewing progress to date. 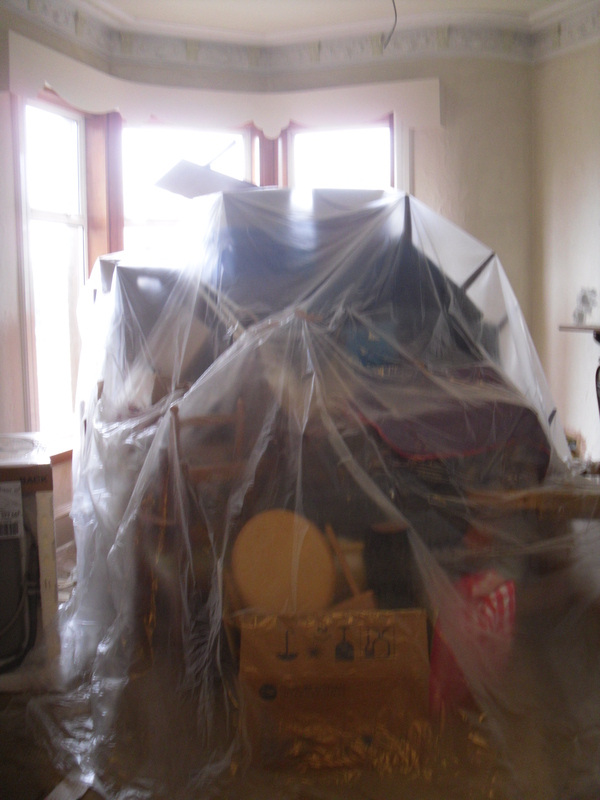 We literally moved mountains (of stuff) that we had stored in the dining room to the cellar that is now safely damp and dust free. This pile consisted of Ikea kitchen items, some salvaged Parker Knoll chairs, boxes of tiles and garden items from our current home that we have been storing over at Auchenard. 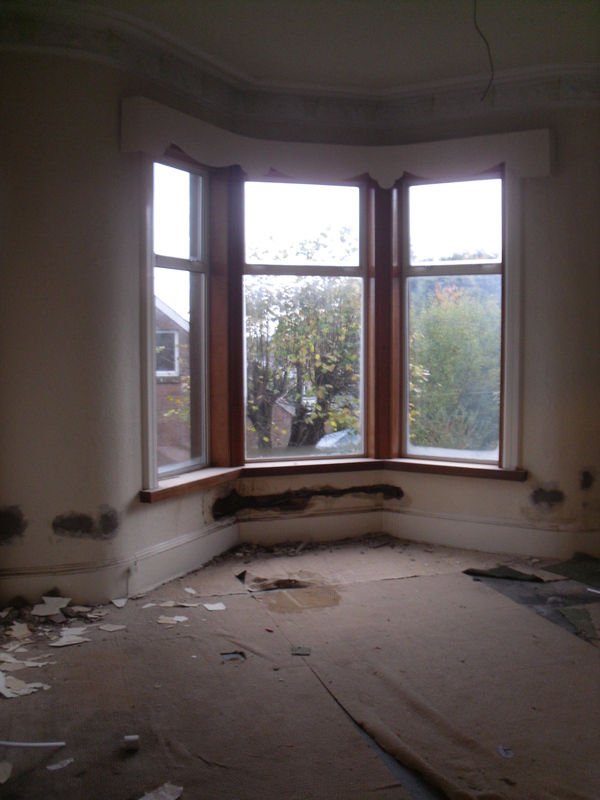 We eventually got er’ done and now have an empty room which is ready for stripping and plastering. 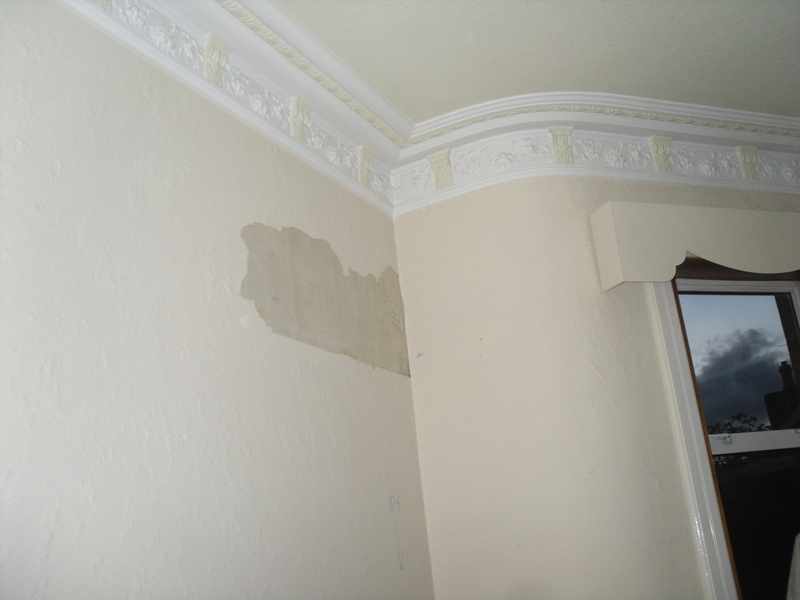 There already has been some work carried out in this room with the electrical rewiring so there are larger rough cast plastered sections across the walls. 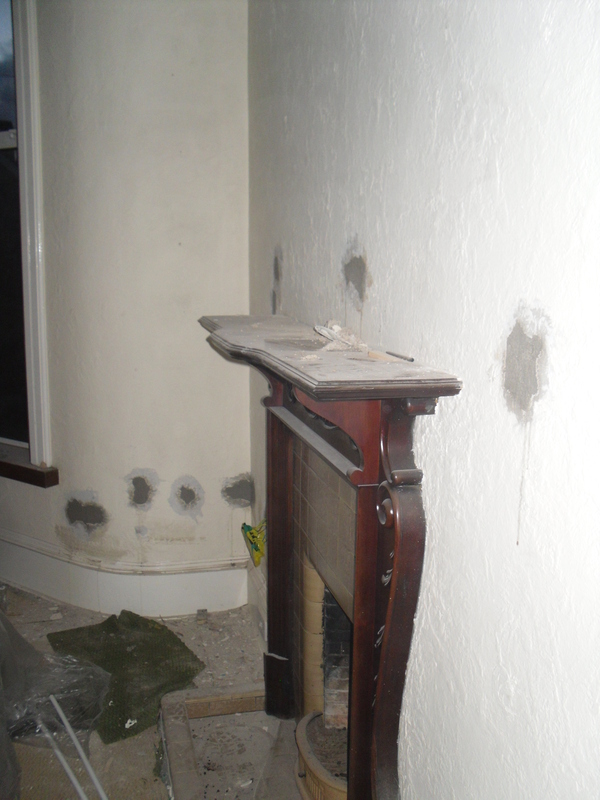 Stuart pointed out that some wall paper had been stripped from one particular area. 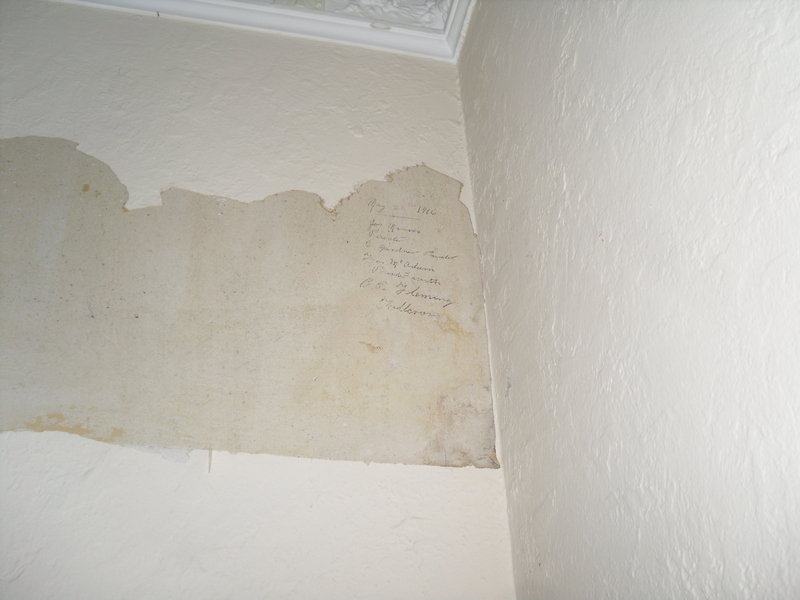 He investigated further and discovered that there was handwriting on the wall dating from May 1916. 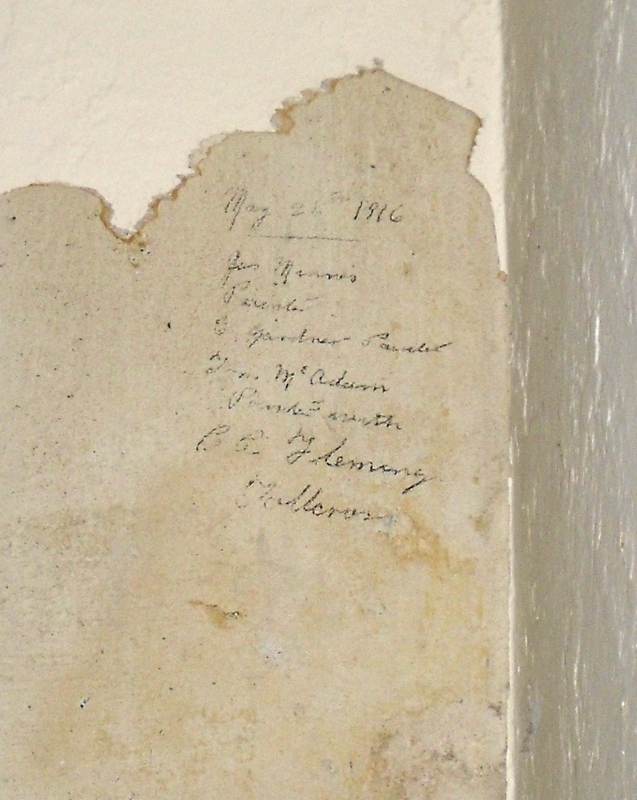 It is a little difficult to dicpher but it looks like the names of the decorators from when work was carried out in 1916 – almost a decade ago. I can make out the date as 26th May 1916 and some of the names. Can any of you eagle eyed readers make out the rest? My friend’s parents uncovered the architect’s signature on the wall in their living room, and left a rectangle unpainted around it. I would definitely do the same if I were you! This is so wonderful, and I really hope that you will find a way to preserve this!